Flight time 9 HRS FROM LONDON. 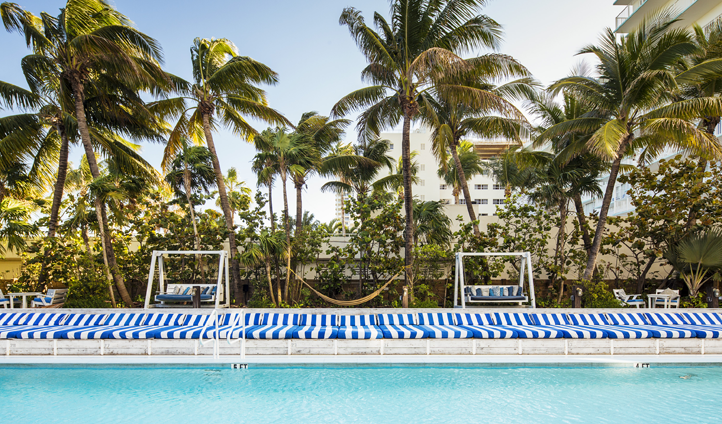 5 HRS 20 MINS FROM L.A.
A city that swings to its own rhythm and never fails to make its way onto our summer holiday hot list, a visit to Miami promises to refresh and rejuvenate no matter how you spend your time. We’ve been refining our trips to Miami for over ten years, constantly tweaking and changing them to ensure we’re offering the newest experiences and most luxurious accommodation to our clients. But, our obsession for perfection may have come to an end, because we don’t think we can create a better Miami break than this one. We’ve teamed up with Soho Beach House and Cowshed as their exclusive travel partner to offer you exclusive access during our new favourite itinerary to the Magic City. 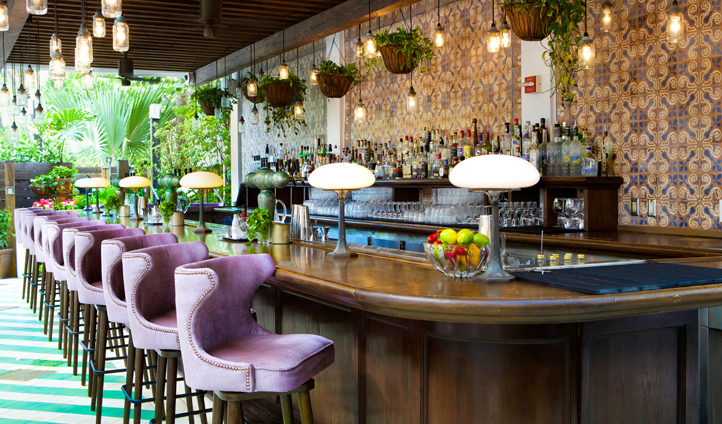 After touching down at Miami International Airport, you’ll be picked up by your own private driver and whisked off for a quick twenty-minute drive to Miami Beach and your home for the next three nights; the stunning art deco haunt of Soho Beach House. With a deep-seated focus on pampering and relaxation, you’ll spend your days enjoying exclusive spa treatments at the in-house Cowshed Spa, where you’ll find two floors of wellness in a spa that boasts Cowshed’s signature English country interior styling. What could be better? Well, our friends at Cowshed are feeling generous and have included a free $600 credit to spend on whichever treatments you desire during your trip. Though wellness and relaxation are at the very heart of this itinerary, we’ve also arranged a series of unique experiences that will unlock the doors to the real Miami. Starting with a look at the art history of the city, you’ll be collected from the Beach House by your private driver and whisked off on a behind the scenes tour to Wynwood Art District. This cutting edge area is adorned with elaborate graffitied walls and oozes a palpable energy, with boutique distilleries and local eateries aplenty. The following days you’ll have the opportunity to board your own private yacht and journey just off South Beaches’ glittering coastline and also take off on a visit to the Everglades to experience the unique ecosystem and exotic wildlife of southern Florida. Trust us, if you’re looking for the perfect blend of culture, relaxation and luxury, this is the perfect summer break for you.